We’ve “bin” thinking about our responsibility to the environment, recycling and waste. Laid out below are the plans we have for the year, what we’ve already done and how we are going to improve further. Let us know what you think via our contact page, we always love a deep and meaningful! Bin Buddy tubs and branded sleeves are now 100% recyclable. HDPE plastic is the most environmentally stable of all plastics – giving off no harmful fumes into the environment. It doesn’t contain BPA, Allergens, Heavy Metals or Phthalates. Bin Buddy Fresh utilises natural citronella instead of chemical insecticides to help repel insects, not kill them. 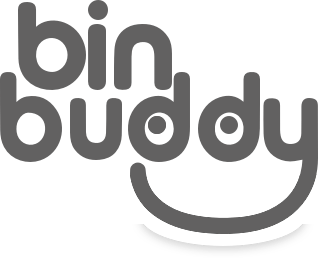 Bin Buddy’s unique calcium carbonate powder naturally absorbs the liquids in which insects and bacteria thrive, reducing the localised environment for their feeding and reproduction. Bin Buddy Fresh contains no biocides. Bin Buddy tubs and lids now contain no carbon black pigments.